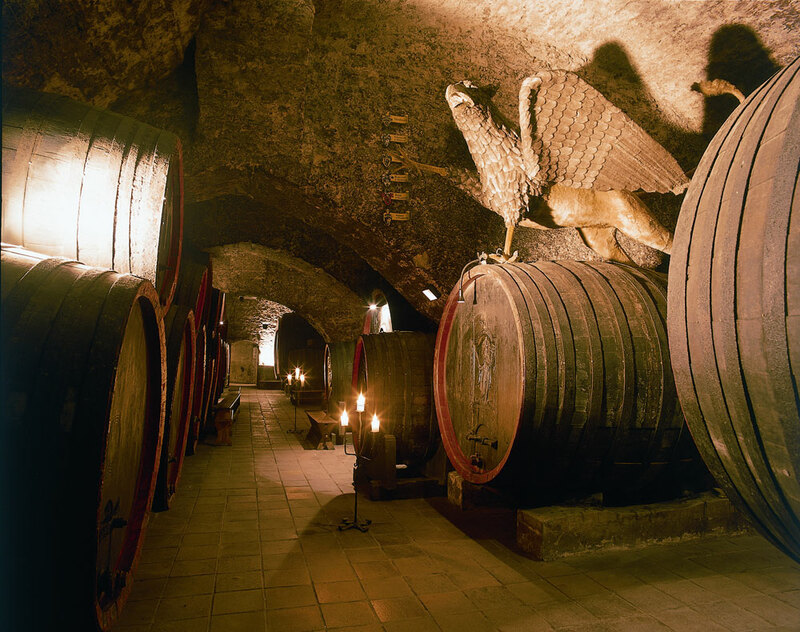 The Mělník Chateau winery owns 23.43 hectares of vineyards with a production of 30,000 to 40,000 bottles per year. 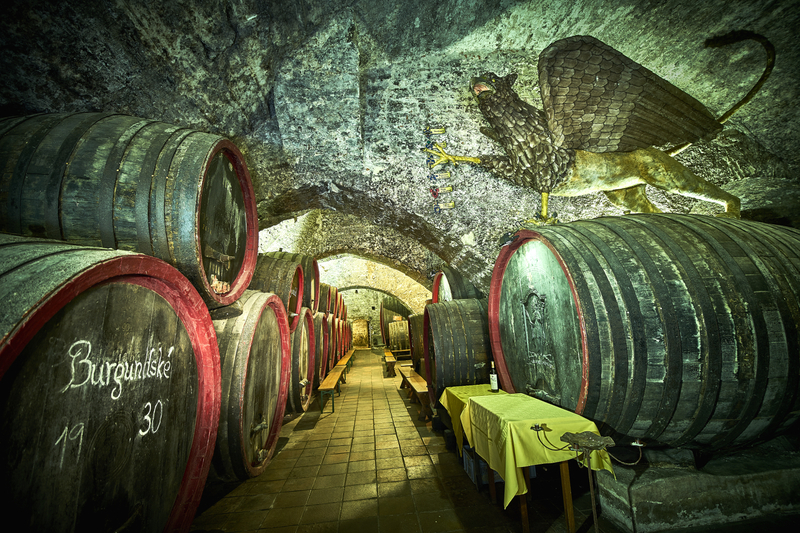 Grapes are grown on six vineyards located in Mělník and its surroundings. The vineyards are called Městská – Ludmila, Na Svini; Klamovka – Štěpánka; Beřkovská – Jozefka; Zdenčina – Cítov; Labská – Vehlovice; Turbovická. Grape processing takes place in the courtyard where they are milled only, and pomace flows from there to the cellar by gravity, and into the pneumatic press or vinificators. 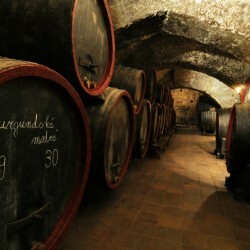 The area of ​​the cellars is 1,500 m2 and dates back to the 11th and 14th centuries. 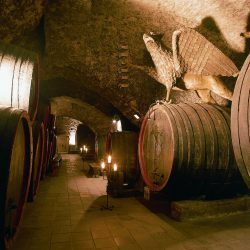 There are 100-200-year-old barrels placed there, which are used as a decoration only to create an atmosphere and idea of what the castle winery and cellars once looked like. 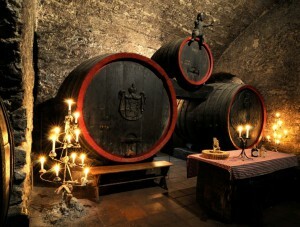 The cellar is divided into 3 adjacent cellars. 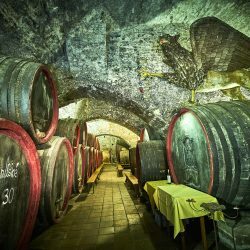 There is a press, vinificators, sludge tanks, cooling/heating, fermentation tanks for wine and sparkling wine and mobile kieselguhr filter in the first, ‘production’ cellar. 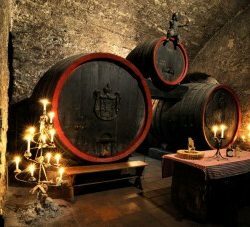 There are stainless steel tanks of 1,500-2,000 litres, barrique barrels for the production of barrique wines and shelves for part of the production of sparkling wines produced by the classic method in the second, ‘tank’ cellar which serves mainly for the storage of wine. 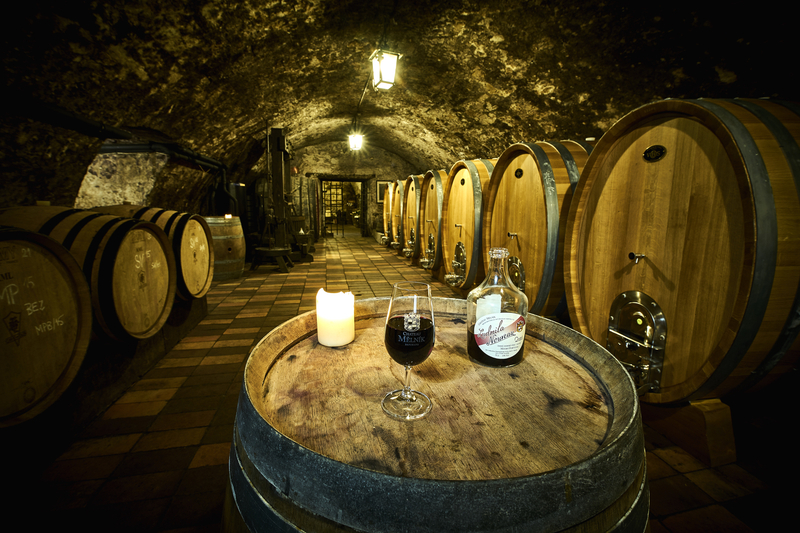 We have tanks of 500, 1,000 and 2,000 litres for storage of wine before bottling in the third, ‘sparkling wine room’ cellar. There is a storage tank, a microfiltration assembly, a filling device, a corking machine, an agraffing machine and a labelling machine in the bottling plant.